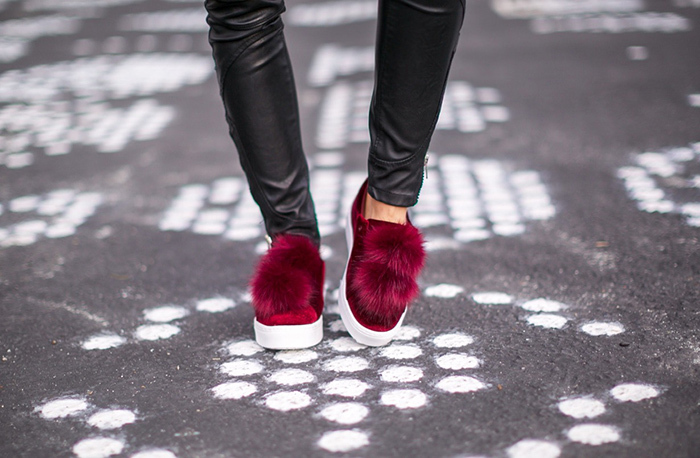 Pink faux shearling coat, velvet crossbody and pom pom sneakers are totally cute winter essentials. Plus they are super affordable. 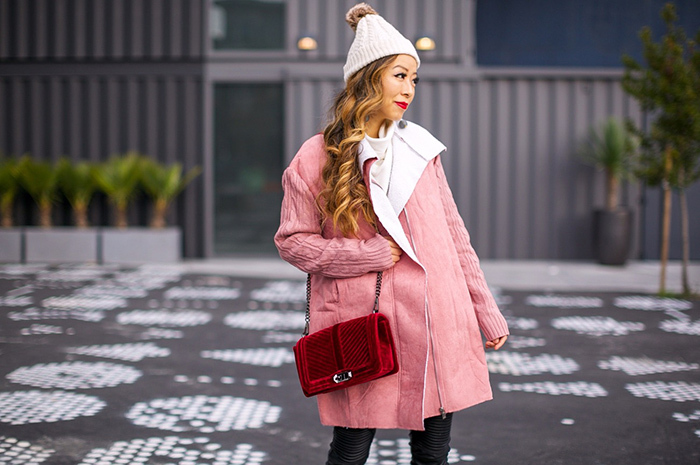 My pink coat is on sale for only $30 and my sneakers are less than $100.